Nowadays being a professional, which is no longer enough and it is that the production of multimedia contents such as photographs, short videos, 360 ° content or live broadcasts has become one of the most recurrent demands of those who are looking for new collaborators from the social media department. We would like to introduce a talented cinematographer who has produced lots of attractive multimedia contents as well. Alex Kinter is an American based video director, marketing consultant, and photographer. Kinter was born in Cali, Colombia before he moved to Miami, Florida with his family at the age of 5. He is infamous for his unique styles and creative visions that have come to be the signature of his projects. Alex Kinter also doubles up as a director of photography and photographer. His work as a photographer at 944 Magazine, ScoreBoard Monthly, and ENVY magazine has asserted his authority in entertainment. He specializes in aerial photography, celebrity photography and landscape photography. His work has produced one of the most iconic aerial views of Dallas city. His company also specializes in photoproduction and renting of photo equipment. The most recognizable work is the role he played as a set photographer in 8 episodes of the premier TV series, Throwing Stones in 2011. Other cinematography credits come from films like Alone at the Pool, Shawty Wassup by Yung Nation and The Drew Pearson Show. Alex has established his media company in commercial advertising. 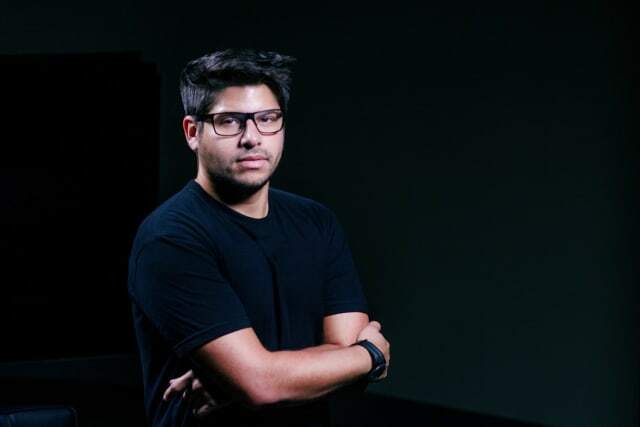 His vast experience in directing and producing commercials have seen him work with reputable brands such as Hublot, Dallas Cowboys, Pernot Ricard, Marriot Courtyard, AT&T, Sonic, Mercedes Benz, MTV, and Viacom, just to name a few. His instant impact in marketing has seen him land a lucrative deal that MATl, a healthy drink that sponsors his astonishing work of art and content. Kinter also works closely with other directors in the shooting of commercials. As a consultant, he maintains awareness of the budget constraints in managing and production of projects keeping producers well aware. He does however not shy away from sharing his experience with young and upcoming video producers. Kinter holds motivation talks in seminars and conferences.